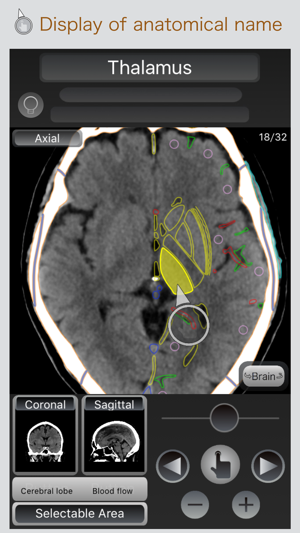 CT Passport is the anatomy learning app that has been made for all of the people who want to learn, such as doctors, nurses and medical radiation technologists, clinical laboratory technicians, medical students, the human anatomy. Currently, we are now like to see on a daily basis 3D image, really in order to understand the three-dimensional, you must work to rebuild in the head by analyzing the image of the plane. 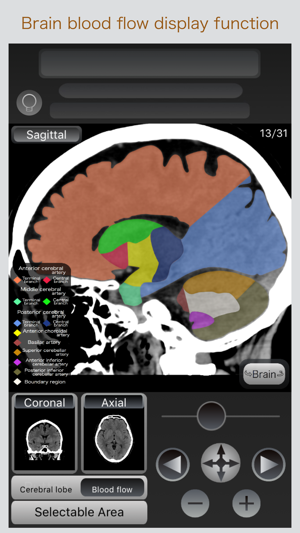 In this app, and displays the anatomy name at the touch of a image, not only examined a portion of interest immediately, it is capable of switching display of the axis position cross-sectional, and coronal cross-sectional, and sagittal cross-section, of a selected site you can grasp the positional relationship instantly. Now take this passport in hand, enjoy the journey of human anatomy at the tip of his finger. 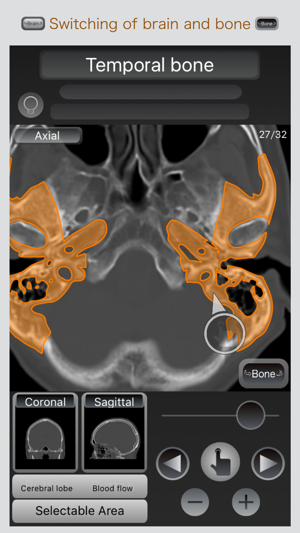 You it is possible to freely select the anatomical name that has been color-coded at the touch of a finger into the image. By selecting the sub-screen, you can cross-section and the switching display of purpose. 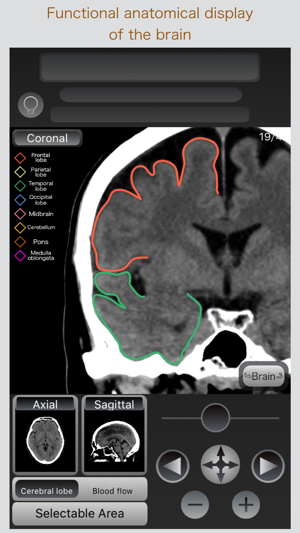 And displays color-coded selectable anatomical range on the image. 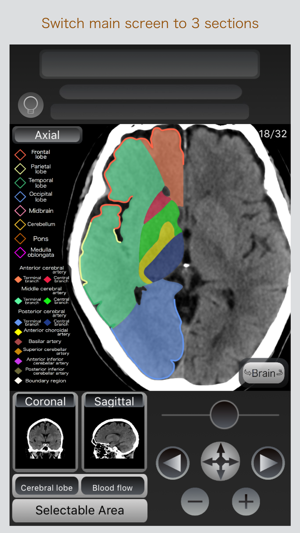 It can display a large anatomy of the brain on the CT image. The blood flow region in the brain can be displayed on the CT image. You can switch the display of the brain parenchyma conditions-bone condition.